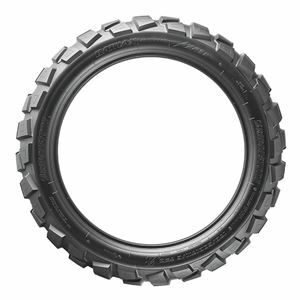 This updated trail off-road tyre has been designed to respond to adventure riders’ requirements. Off-road traction has been upgraded and the grip increased through state-of-the-art block design and positioning, while the use of a high-strength compound ensures durability and a long lifespan. With on- and off-road performance optimised, the Battlax Adventurecross AX41 gives riders the confidence to venture into new areas, follow new paths and enjoy every moment as they explore the unknown.